No matter how dedicated, nursing staff cannot be everywhere at once. This is where our unique ventilator alarm systems can help. 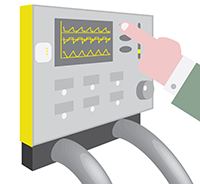 Our patented ventilator alarm system links your patients to your staff 24 hours a day. 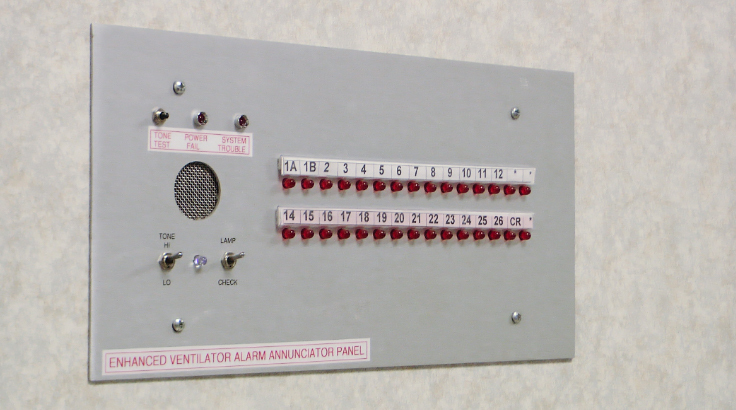 When a monitored ventilator goes into alarm, the patient’s room number is immediately visible to the nursing station or other notification devices. 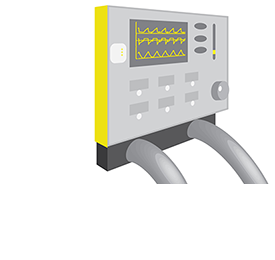 Our ventilator alarms enable medical personnel on duty to receive immediate feedback as to which device is alarming. The remote alarm system then resets when the device returns to normal operation, either by medical personnel intervention at the unit, or patient stabilizes and device resets on its own. This innovative system is independent of the nurse call system and will provide a unique indication of ventilator/patient monitor operation, allowing therapists and nurses to provide a higher standard of health care. See how the alarm stages work.